← This won’t end well. So, at the very end, Halo: Reach delivers exactly what it promised in the opening cinematic: Your broken helmet lying on the ground and your character dead. The trick that Bungie needed to pull off, then, was to make a game where you know the ending still worth playing through, and I think they pulled that off quite well. You know from the beginning of the game that you’re fighting a losing battle, but you keep pushing forward, winning enough small victories to feel like you’re not giving up. It helps somewhat that, if you’ve played the original trilogy, you know that it all ends well, but it’s the sacrifices on Reach that kick off the events of Halo 1 – you’re not getting to the eventual peace without paying for it in advance. 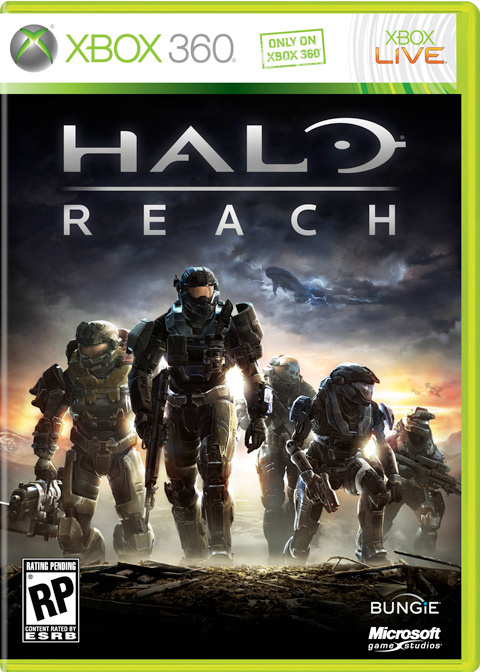 On that note, I thought they did a reasonably good job of making Reach seem like a natural lead-in to Halo. It helps, of course, that it’s more of a universe-building sort of prequel rather than a character-origin sort of prequel – it doesn’t run into the same problem as something like Perfect Dark Zero, where you can’t be too badass inasmuch as it would ruin the opening of the original Perfect Dark. Wait, let me take that back. Both Reach and ODST have one unfortunate consequence of being released after Halo 3: They couldn’t really do any vehicle sequences to top the tank sequence from Halo 3. Both games HAVE a tank sequence, but they just don’t live up to TANK BEATS EVERYTHING. Special mention goes to the music, though that’s almost a given by this point. The Halo series has always had an excellent soundtrack – I think it’s one of the things that made the first game stand out so much – so saying that Reach is “more of the same” is about the best compliment I can level at it. I’ve heard a rumor that they’re considering releasing an updated Halo 1 in the Reach engine, and I’m looking forward to it. Yes, I’m even looking forward to playing The Library again in HD.